More than 7,500 households have lost their housing benefit and instead receive a nominal 50p a week because of the welfare cap, the BBC has found. A Panorama survey of hundreds of councils shows at least 67,600 homes in England, Scotland and Wales have lost some money due to the policy. The cap is £23,000 in London and £20,000 in the rest of the country. The nominal amount is paid so that those households can claim access to an emergency fund if they need to. They have to be in receipt of some housing benefit in order to be eligible to apply for discretionary housing payments, a special government fund set up for those particularly affected by the cap. The cap is part of the government's drive to get unemployed people back into employment by cutting out-of-work benefits. The amount of money above the limit is taken from either housing benefit or Universal Credit. Alison Garnham, chief executive of the Child Poverty Action Group, said: "Removing people's housing benefit basically means that people can't afford their home, so it puts people at risk of homelessness. "It also means that they have to use money that's intended to buy food for their kids and for their other living expenses - this has to be used to plug the hole in their rent." Where someone finds work - 16 hours a week for single parents, 24 hours for a couple - their benefits are reinstated, and research suggests about 5% of those affected by the cap have returned to work. But Ms Garnham said about 80% of those affected cannot be expected to work as they are sick or have very young children. Image caption Kim Carmichael says the money "soon goes"
Steve and Kim Carmichael, from Huyton in Liverpool, used to get £500 a week in benefits to look after their four children but their payments were cut by £120 in November under the cap. Their rent used to be covered by housing benefit but that has been cut to the minimum amount. Mr Carmichael said: "Now it's only 50p per week so that's £2 a month - which they may as well keep. It costs more to send a letter out." The family was threatened with eviction at the end of January because of their rent arrears. They got a payment from the discretionary housing payment fund but that ran out at the end of March and they will now have to apply for more money. If they do not get it, they could lose their home. Mrs Carmichael said the family had been struggling since their benefits were capped. "£20,000 a year does sound a lot," she said. "It's not a lot really, and by the time you've paid your gas, your electric, your rent, your council tax, your food shopping, clothes for the kids, school trips and stuff like that, it soon goes." Neither of them have worked for almost nine years. Under the rules, the Carmichaels could get their full benefits back if they worked 24 hours a week between them. Mr Carmichael said he was looking for work, but he has not been able to find a job in the four months since the family was capped. Welfare delivery minister Caroline Nokes said the benefit cap was introduced to "level up the playing field between families who are in work and those who are reliant on benefits". She said: "What we sought to do was incentivise work because we know that the outcomes for children will be better if they are in families that are working." Birmingham has the highest number of households on 50p a week housing benefit - 578 out of 2,968 that are benefit-capped. Leeds is second (223 out of 993) and Manchester is third (179 out of 833). In North Hertfordshire, 30% of households that are benefit capped are on 50p a week housing benefit - the highest proportion in Britain. Bolton is the second highest (29%). Sandwell is third (27%). A total of 370 councils responded to Panorama's survey. Have your housing benefit payments been affected? Has your family reached the £20,000 limit? Let us know about your experiences. Email haveyoursay@bbc.co.uk with your stories. 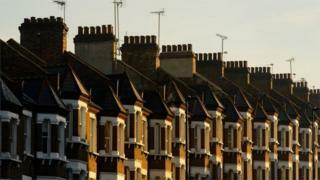 Why is the UK's housing benefit bill so high?